The government is running out of time to ensure that Bulawayo has enough fuel stocks to cover the forthcoming Independence and Easter holidays, as well as the annual Zimbabwe International Trade fair (ZITF) - which kicks off immediately after the extended break. This comes as Bulawayo and the entire Matabeleland region are experiencing worsening fuel shortages despite some improvements in the supply of petrol and diesel elsewhere in the country. The (ZITF) is now known for bringing good news to the second city. In previous editions, the authorities would go out of their way to ensure that the city's roads and signage are fixed to avoid embarrassing themselves in the eyes of regional and international visitors. Residents would also benefit from uninterrupted electricity and water supplies. While these traditional benefits are now part of the package, there is so much more for this year's ZITF. This time around, the cosmetics include price corrections for hotels and lodges that had pegged their rates at extortionate levels in a bid to capitalise on the premier exhibition. 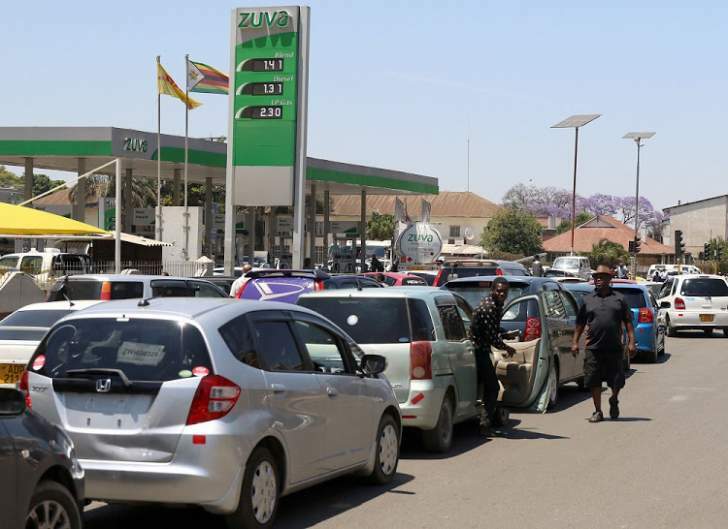 ZITF officials also told the Daily News yesterday that arrangements were being made to cushion visitors from the fuel and cash shortages blighting the country's economy during the five days of the showcase. "As for fuel, we are trying our best. We have already engaged the ministry of Industry and the ministry of Energy for them to prioritise Bulawayo during the period of ZITF," said the trade fair's acting general manager, Nicholas Ndebele. "They have, however, written to us indicating that they are going to increase the supplies. Over and above (that) we have engaged Petrotrade who have also assured us that they will commit their Nguboyenja garage. They have pledged 10 000 litres specifically for our exhibitors," added Ndebele. "We continue to engage private players to help us. We have also asked the Provincial Affairs minister Judith Ncube to help ensure that we deal with the situation effectively," he added. Gumbo recently told the media that fuel was in abundance at the country's bonded storage facilities in Mabvuku and Msasa. Notwithstanding current efforts by ZITF to ease the fuel situation in Bulawayo, it is still being feared that the shortages may put a damper on this year's edition of the showcase. Observers opine that unless exhibitors put in place contingent measures to deal with the cash and fuel shortages, these twin economic challenges might make life tough for thousands of visitors who are set to descend on the second city in less than a fortnight. The country's largest trade showcase is set to take place between April 23 and 27 under the theme, "Propagating Industrial Growth through Trade and Investment". About 90 percent of available space has already been snapped up by exhibitors ahead of the premier showcase. For the few garages that sell fuel in foreign currency, some didn't have the product while others had it in abundance.